Fly rod actions will vary in this category just as they do in the River Outfits. Personal preference plays a large role in making this choice and we will assist you by outlining the pros and the cons of each option. Although the process of choosing the “right” fly rod outfit can seem daunting, it is ultimately a very enjoyable process and we are grateful that you have allowed us to share that experience with you! Experience the heritage of great American craftsmanship and precision technology. These rods and reels are the finest around, and they are still built the old fashioned way, by hand, and one at a time. The 8 ft 4 wt Winston Air is our shop’s favorite small stream dry fly rod. Paired up with the beautiful Ross Colorado and you are instantly transported to thoughts of summer evening hatches and perfectly placed flies to rising trout. 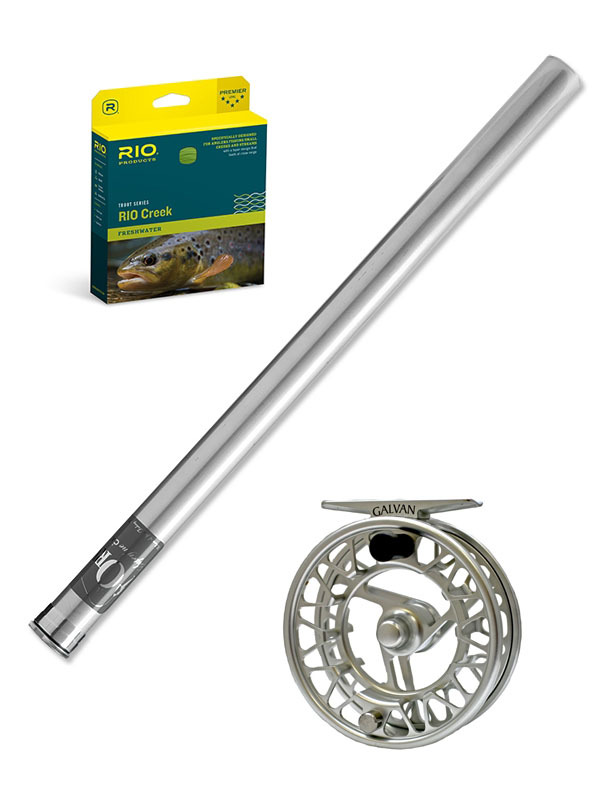 Take advantage of the previous generations of fly rods technology at a great price. When fly rod companies make new advances in their building process, they continue using the previous generations technology in newly offered models as well. A great setup for smaller to ultra small creek situations. 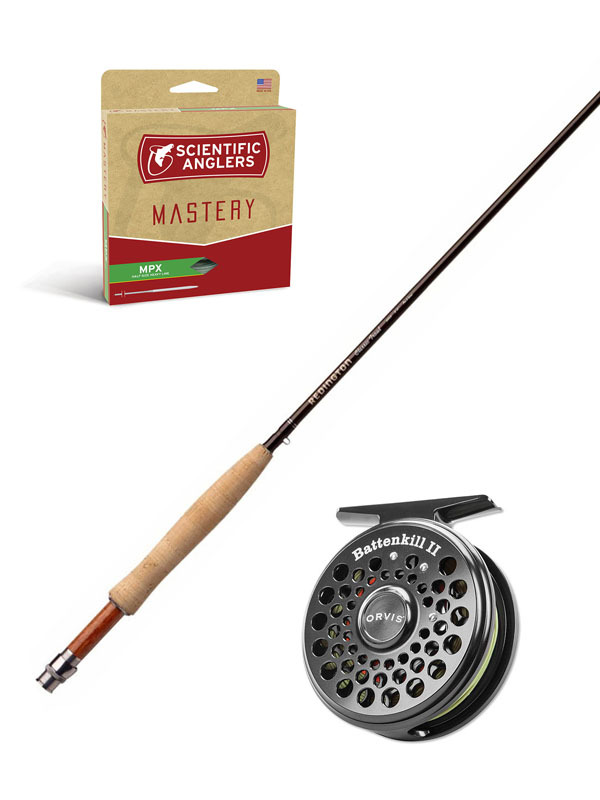 I (Pete) have personally fished this setup for sometime and have safely landed brown trout over 20″ on it. Due to it s shorter size it’s slightly quicker and I prefer a 3 wt line for the short game and roll casting. Unbeatable prices on quality gear. We always offer our packages with premium fly lines so that you can get the most out of your fishing experience. 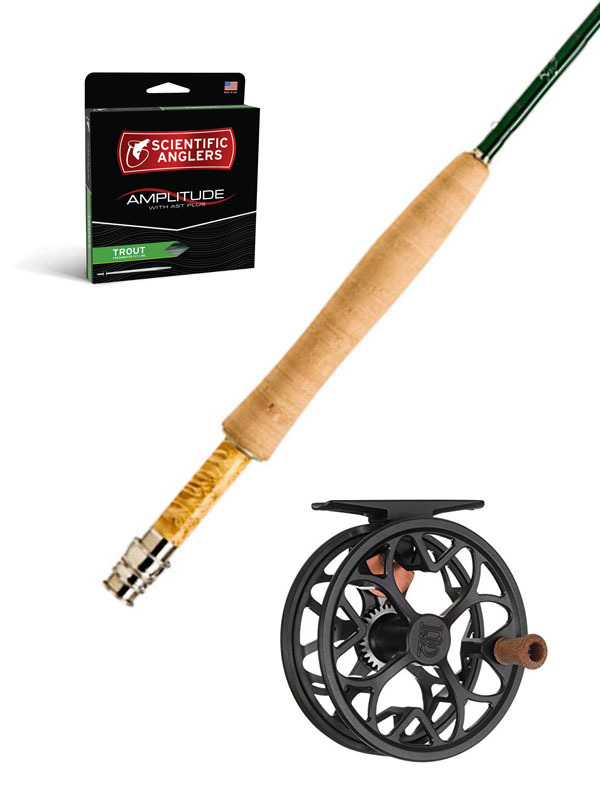 A super rod with a classic feel matches nicely with a machined aluminum click and pawl Orvis reel. Probably the best bargain around. INTERESTED IN A CERTAIN ROD AND REEL SET-UP? FILL OUT THE FORM BELOW AND INCLUDE YOUR PHONE NUMBER. OR GIVE US A CALL: 520-326-7847, WE’D BE HAPPY TO TALK WITH YOU!